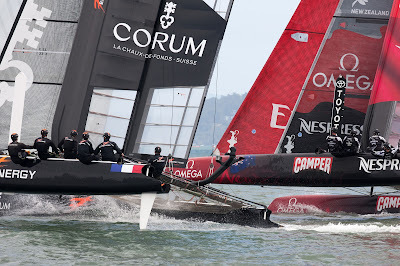 Racing on a relatively calm San Francisco Bay – with the wind blowing 9 to 13 knots and a flat sea – Artemis Racing – White defeated young upstart Team Korea (Peter Burling) while Emirates Team New Zealand beat Energy Team (Loïck Peyron). 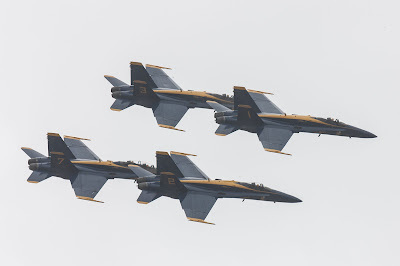 The day’s racing program was interrupted after the two matches to allow the Blue Angles an opportunity to practice over the Bay for Fleet Week this weekend. 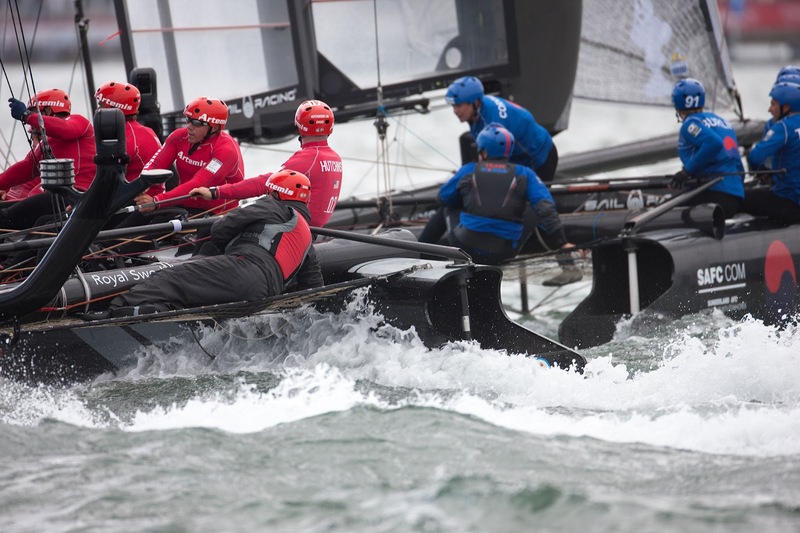 Racing is scheduled to resume later today with the first two of seven scheduled races in the fleet racing championship. 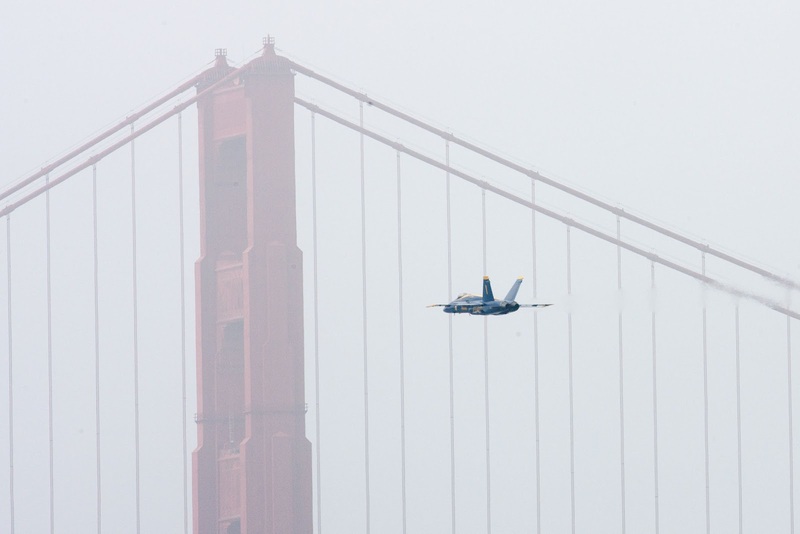 The first race is scheduled to begin at 5:10 pm PDT. Both matches were won by the more experienced crews, who opened big leads on the upwind legs after holding slim advantages through the leeward gate. In the case of the New Zealanders, they regained the lead after losing it on the downwind leg. Hutchinson and the Artemis Racing – White crew welcomed back tactician Iain Percy in a wire-to-wire win. The two remaining quarterfinal matches are scheduled for tomorrow afternoon, with Artemis Racing – Red (Nathan Outteridge) racing ORACLE TEAM USA COUTTS (Russell Coutts) at 4:05 pm PDT and J. P. Morgan BAR (Ben Ainslie) meeting ORACLE TEAM USA SPITHILL (Jimmy Spithill) at 4:22 pm PDT.